Learn how to start a blog in just 5 simple steps and have it up and running in just an hour! This step by step quick start guide is perfect for beginners to start sharing what they’re passionate about. You’ve read the blogs. You follow the pages on Facebook. You’ve seen the pretty feeds on Instagram. And you think…I can do that! And then you start thinking about it and can’t figure out where to even begin. Friends…I’m here to tell you it’s not hard and you can start a blog today! Let’s answer a few questions though first. 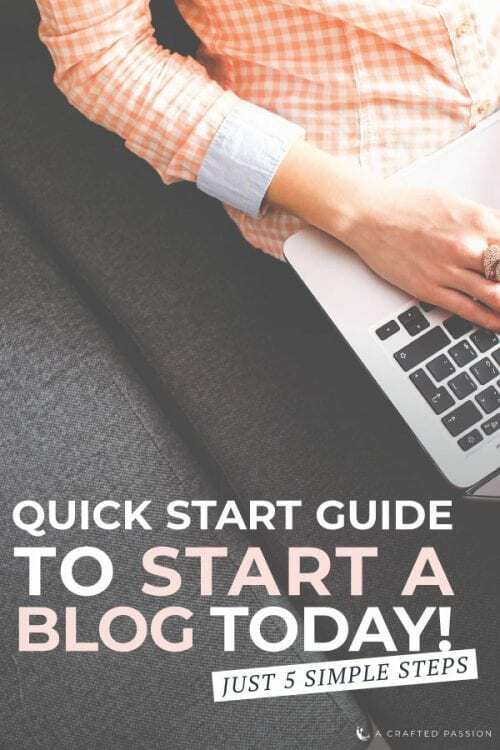 If you already know you’re ready to start a blog, skip to the section titled How to Start a Blog to get started. Am I passionate about something? Can I talk about that “something” for an hour without getting bored? If you answered yes to all of those questions, then you need a blog. Ok, maybe you don’t NEED a blog, but after running my own collection of different blogs for the past 11 years, I think it’s a great way to share with the world about something you’re passionate about. Maybe it’s crafts or drawing or backpacking or your collection of antique cars. Maybe you love Disney and can talk about Disney tips for days. Maybe you want to share about how you lost fifty pounds—and kept it off. The list is endless. 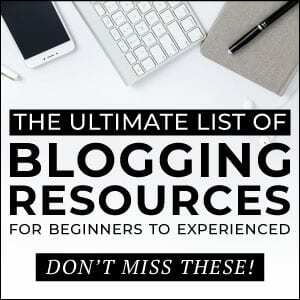 If you’re ready to start a blog, let me show how you can stop putting it off and do it right now. First off, you need a name. Coming from someone who has rebranded multiple times, there are a few things you want to consider before choosing a name, however, since you’re reading this post I’m assuming you already have an idea of what name you want. 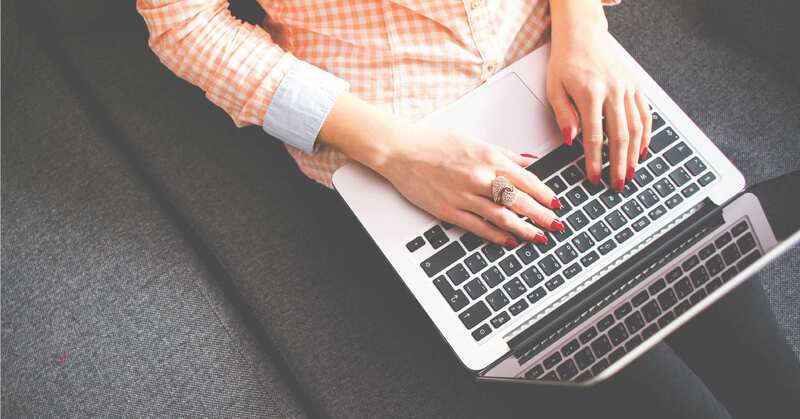 Check out this post for tips on how to choose the perfect blog name if you aren’t sure yet. Is it catchy? Can people remember it? Tell 3 people the name you are thinking of and ask them to write it down. Did they write it the way you plan on spelling it? Don’t use some clever spelling because that just gets confusing and you’ll probably regret it later. Be sure to check the trademark database and also on social media that someone hasn’t already taken that name. At the least, check on Facebook, Instagram, Pinterest, and Twitter to see if the domain you’re thinking of is taken. If it is already taken on one or more platforms, don’t write that name off completely just yet. Is your name unique and catchy? Maybe your first name and middle name combined or a combination of the brand name and your name can be used for social media? There are many different options. I would suggest not including punctuation in your usernames because that can be easy to forget when someone is searching for you. Next, you need to purchase your domain. I HIGHLY recommend you buy your domain with Google. Google provides privacy at no additional cost and makes it very easy to set up. As soon as you have your domain purchased, go claim those social usernames before they get snatched up by someone else. Note: If you have a current Pinterest, Instagram, or Twitter account for personal use that has relevant content to your new blog, hold off claiming a new account and instead consider switching your current account to a business account. On all these platforms you can change your username in the settings area. 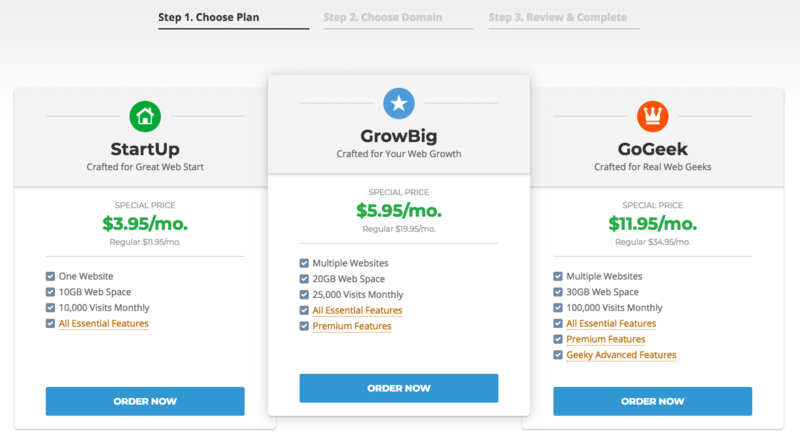 Once you have your domain, it’s time to get a host. A host is like the land your site is going to sit on. Your host holds all the super techy stuff and stores all your information. Your host is a big factor when it comes to downtime and site speed. SiteGround has been around for over 15 years, has incredible customer service, and has lots of room for growth. I have always had amazing support from the support at SiteGround. They are quick to reply and super helpful. Especially starting out, a great support team is key to your success. Sign up for SiteGround here. Next, it’s time to set up your platform or also referred to as your framework. There are many different platforms out there. The most common are WordPress.com, WordPress.org, Blogger, Show.it, Wix, and Squarespace. If you plan to monetize your site, I recommend you use WordPress.org. It is by far the most commonly used and has the most capabilities of any blogging platform. WordPress.org also seamlessly integrates with SiteGround and Google Domains. You will be able to create your account on WordPress.org once you’ve selected your hosting plan on SiteGround. Do that here if you haven’t yet. Once you have your platform set up, you can choose your theme. A theme is what makes your site pretty. It brings your site character and a personality. Choosing a theme is optional, however, and not absolutely necessary if you are trying to save money or are ready to just get sharing your content. I recently started a new site and just used a free theme provided with WordPress.org. I used ThriveThemes as an alternative to installing a new theme that changes the whole look of my site. I have used 3 different Restored316 themes in the past and highly recommend them. If you’re looking for well-designed themes and a great support team, check them out. They also have an active Facebook group that has lots of people available to help at any time of any day. Angie Makes is another popular WordPress theme designer where you can purchase pre-built templates. Check out Etsy for personalized themes. A lot of times you can find web designers who will do the setup for you. Start a blog can be so exciting and so overwhelming at the same time. 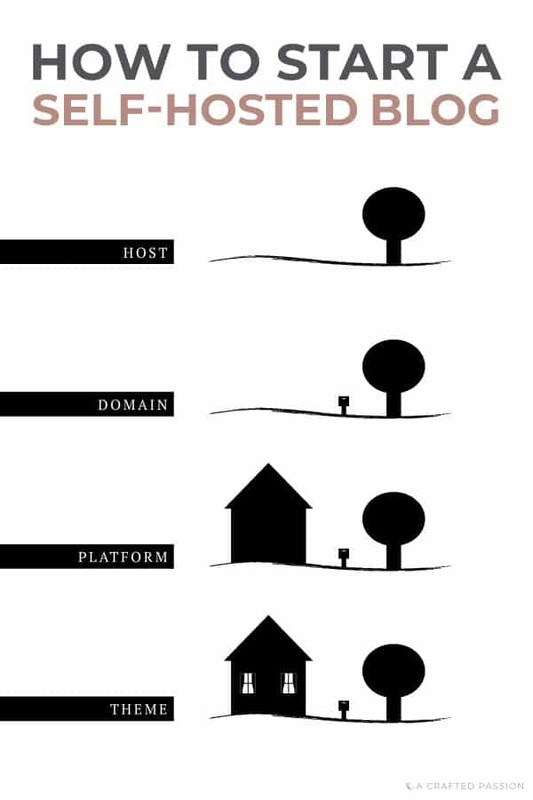 If you’re still feeling a little confused at the difference between hosts and themes and frameworks and platforms…check out this little graphic I made that should help clear some things up. Once your theme is installed and set up, it’s time to start getting the word out! Starting a blog can feel so overwhelming, but once you get it up, it’s so simple to add content. Be sure to check back next week where I plan to share how to start marketing your blog to find readers for your awesome content. If you found this post helpful, I’d love for you to share it with a friend or pin it on Pinterest.